It is time again for another tiny but superb Yasni update. Since the end of last week we have smoothed and polished our search result pages for names. Most of you have probably already noticed the change: on the left hand side there is a new box which contains the several categories of the search result page for names. And that is the whole point: to make our search result pages (even) more ascertainable and to encourage an (even) deeper search. With the category box you can see at a glance which field the search results to the wanted name are from. If you click on a section in the box on the left, e.g. on “News”, the search result page automatically scrolls to the respective category. Just try it out for yourself! Of course, the category titles will only be shown if there are search results to the wanted name within the respective category. If there are no videos to a name then the category “Video&Audio” won’t be shown in the new category box. People Search Engine Yasni stays on the road to success: a 7-digit gross profit, break even and 17 million unique users per month comprise its balance sheet 2010. German startups are blamed for being uninspired copies of successful Web services from the US. 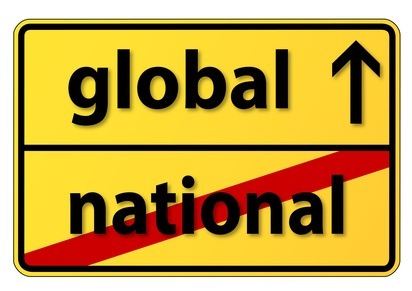 Consequently, only few German Internet companies are of international relevance. However, Yasni is worldwide the only real search engine to find experts for keywords like skills or city and already half of its users are from abroad. International usage even increased tenfold in 2010. Notably is the high percentage of users from the US, Canada or Australia, but also from India, France and Japan. The recently launched domains for France (www.yasni.fr), Spain (www.yasni.es) and Italy (www.yasni.it) ensure growth for 2011 and meet the international demand for real people search.